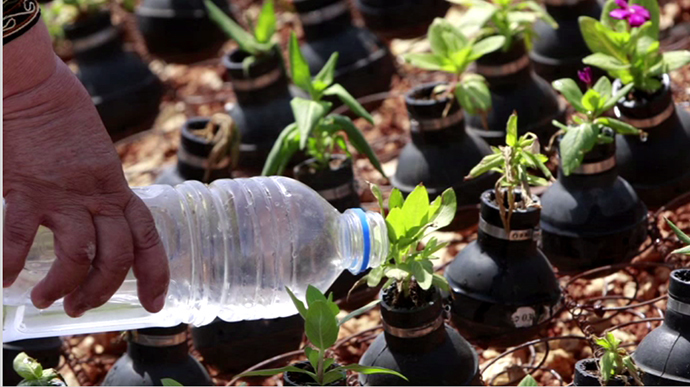 Bil’in, Palestine: Teargas canisters as flower pots. 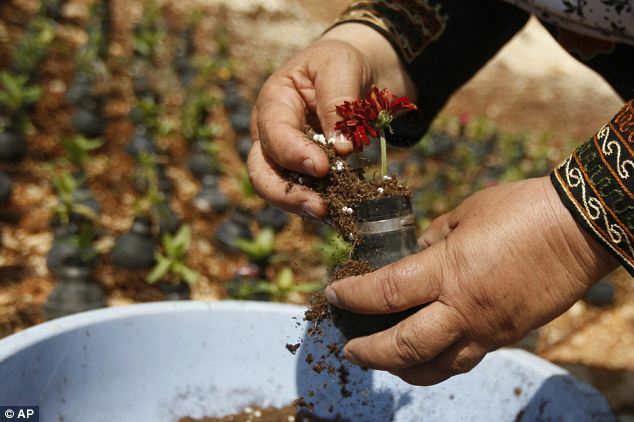 It’s old news, but this beautiful Palestinian art of resistance needs to be captured and written about all over again – residents of Bil’in use teargas canisters – to plant flowers. 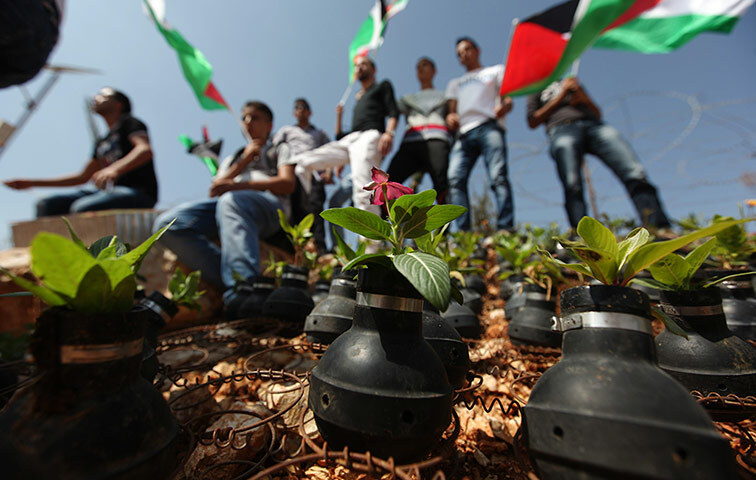 Teargas canisters are lefovers from the clashes with the Israeli soldiers, and this way of using them is maybe the most beautiful and peaceful symbol of resistance. 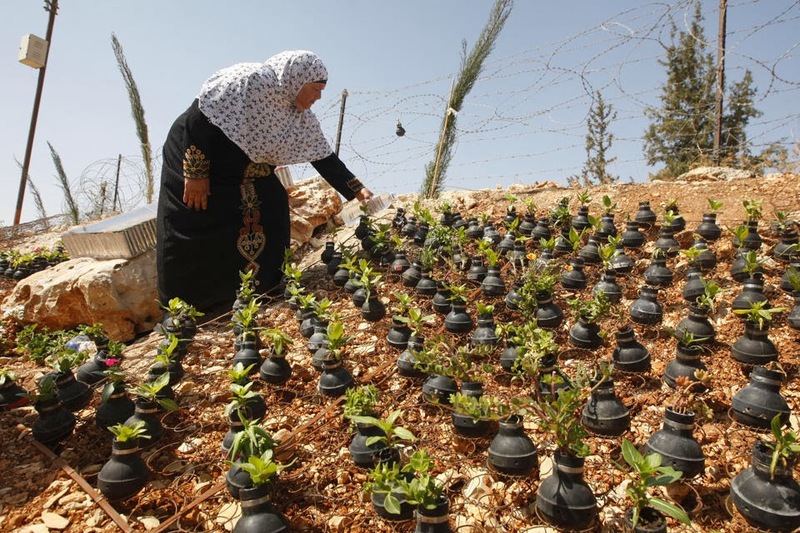 Bassem Abu Rahmah, a protest leader, was killed in 2009 when Israeli forces shot him in the chest with a tear gas grenade (his mother is on the photo, watering the plants). 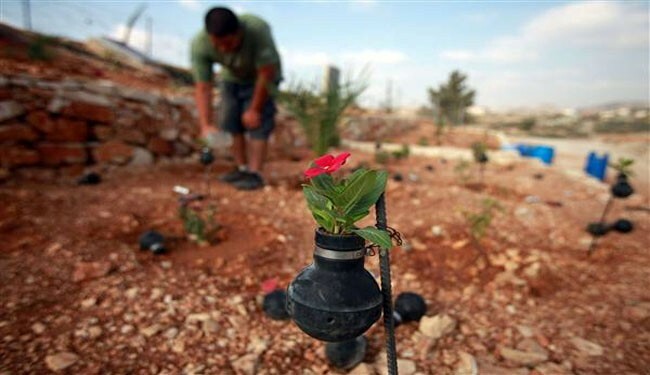 The garden is to commemorate him and other victims in the Palestinians’ fight for their land. Bilin has become a symbol of Palestinian protests against Israeli policies in the West Bank, and the village’s struggle to regain its land became the subject of a 2012 Oscar-nominated documentary Five Broken Cameras. 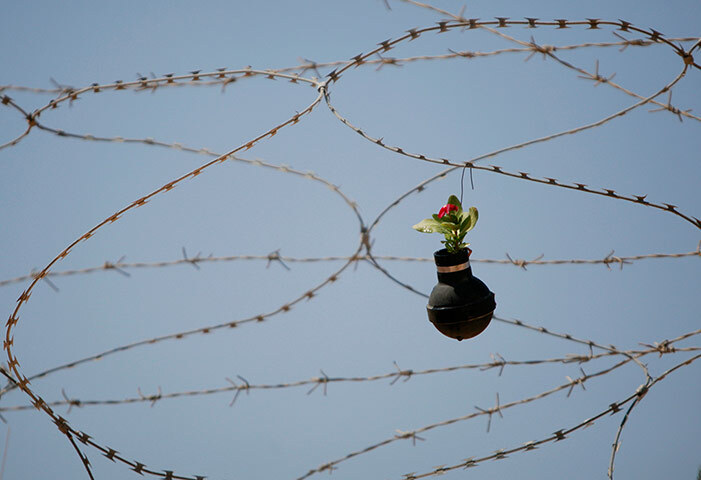 It’s not just that the Palestinians are not going to be destroyed – they are going to grow, and find a way to make something out of the occupation – something for the future. Enjoy the photos (© AP). → The limitless beauty of parkour in Gaza. ← Iraq and Syria – resurgence of foreign suicide bombers.